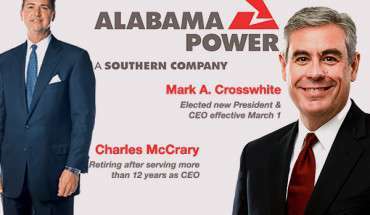 Morningstar Analyst Alabama Psc A Dream Come True For Alabama Power Shareholders » Mr. Dunn Goes to Montgomery | Who's Behind the Mask? — Morningstar analyst Mark Barnett, in his recent report on the Southern Company. Think of public service commissions as referees in battles of competing interests: The rate-paying customers vs. the shareholder owners of monopolies that face no competition for your business. 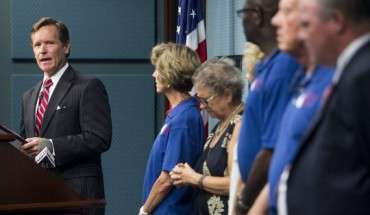 Know that state boards that regulate utilities are not supposed to favor one over the other. Their function is to find a happy medium between the interests of the public and the utilities. Publicly traded companies — especially large ones like Southern Company (Alabama Power’s parent) — are naturally followed by stock analysts. The analysts’ role is advise investors. And when analyzing a utility company, they must analyze the regulatory environment — specifically, the particular Public Service Commission — that regulates that utility. So: An excellent way to judge if your public service commission favors the ratepayers or the shareholder is to look at what the stock analysts are saying. The upshot of Barnett’s November report — as a well as a recent analysis issued March 14 — is that the Alabama Public Service Commission is a shareholder’s dream come true. Alabama’s PSC favors the shareholder over the ratepayer, and it’s not even a close call. The two primary profit engines within the Southern Company are Georgia Power and Alabama Power. As a result, Barnett describes the regulatory environment for both at length in his reports. He discusses Alabama Power’s regulatory situation as it has been, and as it will be in the future, as a result of changes made by the PSC in August. Let me put it this way: Alabama Power and its high-level mole within the Alabama Public Service Commission (PSC President Twinkle Cavanaugh) do not want Alabamians reading Barnett’s assessment of the Alabama PSC and the change trumpeted by Cavanaugh as some sort of major victory for Alabama residents. With these favorable rate-making mechanisms, Alabama Power has averaged a 13.1% realized Return on Equity (profit) during the past five years, well above utility averages (around 10 percent). Intervenors in the Alabama Power case (primarily the AARP) proposed an allowed ROE as low as 9 percent, but Alabama regulators (the PSC) determined the company’s earned returns were reasonable and effectively left them untouched. The regulators specifically rejected the connection between current capital market conditions (interest rates) and a fair return to Alabama Power investors. This is remarkable, given that regulators in most other jurisdictions have used low interest rates and lower computed equity risk premiums to justify substantial ROE cuts (reductions in allowed return on equity). Alabama’s constructive (positive)regulatory environment contrasts with many regulatory jurisdictions where utilities go through lengthy litigated rate reviews and have adversarial relationships with regulators and other stakeholders. While other utilities faced intense scrutiny for any rate increase request the past 18 months, Alabama Power negotiated 2012 and 2013 rate RSE filings that resulted in no change to customer rates, but allowed the utility to stabilize cash returns and leave headroom on rates for 2014. With that last comment, the Morningstar analyst is saying that Alabama Power’s rates could well go up in 2014. Recently released figures show its rate of return for 2013 was 13.43 percent. Metaphorically speaking, in terms of allowed profit margin, Alabama Power is 9 feet tall, and the average height of all the others in the country is 6 feet. The bottom line: Twinkle Cavanaugh and Jeremy Oden are continuing a long line of Alabama Public Services Commissioners who steadfastly put the interests of Alabama Power’s shareholders above those of its rate-paying customers. Cavanaugh and Oden outvote Dunn every time. If one of them, say, Oden, were to join Dunn, Alabamians would pay less each month for their power bill.